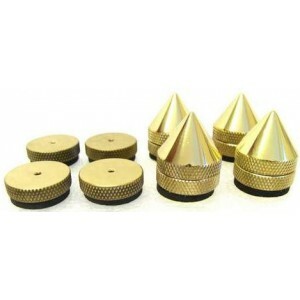 The Atacama Solid Brass Isolation Cones are precision engineered, high end isolation spikes, beautifully finished in brass. An excellent upgrade in isolation for your hi-fi separates, ideally used in conjunction with an Atacama hi-fi rack. 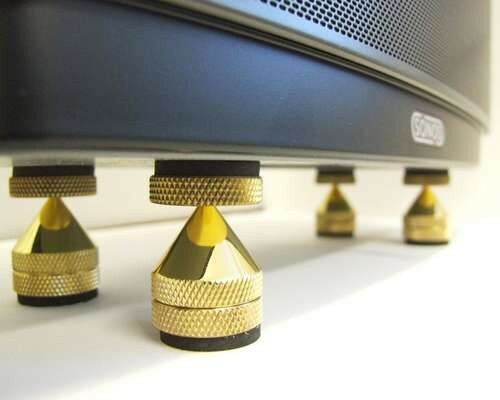 These are designed in order to decouple and isolate your AV and hi-fi equipment from its surroundings. 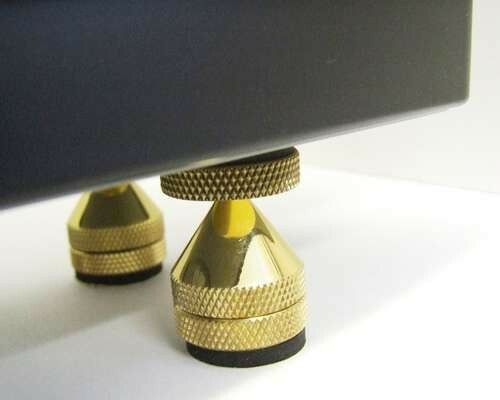 These solid brass precision made cones with matching cups are fully adjustable and are prefitted with a dampening foam material to protect and sonically dampen the hifi seperates outer case. Dimensions of each cone when in position. 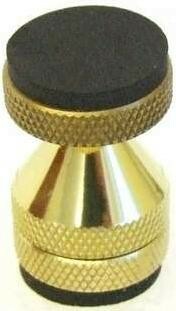 width 25mm, height 40mm.